All right, yeah, we know. King Tuff is far from the biggest release coming this week. But it's our blog, and we do what we want to! Also, look at that packaging! Gorgeous. Sub Pop always does a great job with their releases, but this one is particularly stunning. 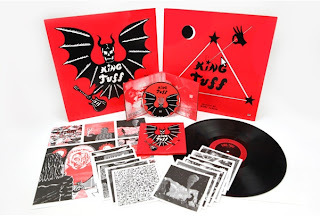 Also also, King Tuff is awesome. Ask us to play it for you next time you're in. We guarantee you'll walk out with a copy.